“Mystery” Slicks at BP / Deepwater Horizon Site: Mystery Solved? 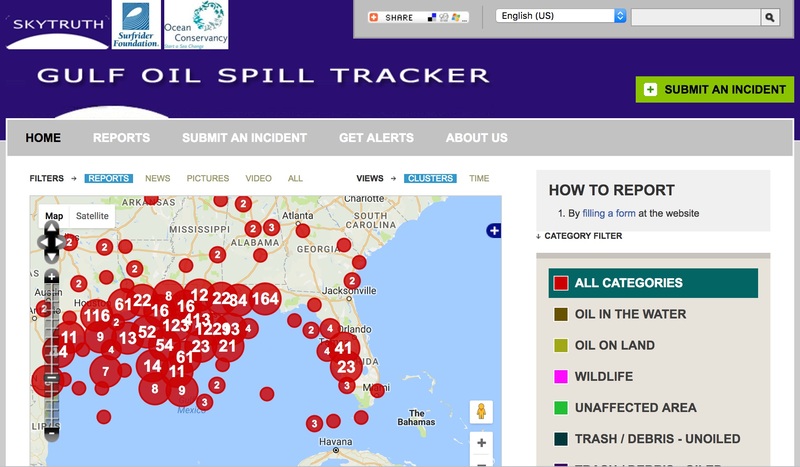 You may recall that sporadically throughout 2011 and 2012, satellite images and several aerial overflights of the BP / Deepwater Horizon oil spill site revealed thin, recurring oil slicks in the area. No known natural seeps were in the vicinity. 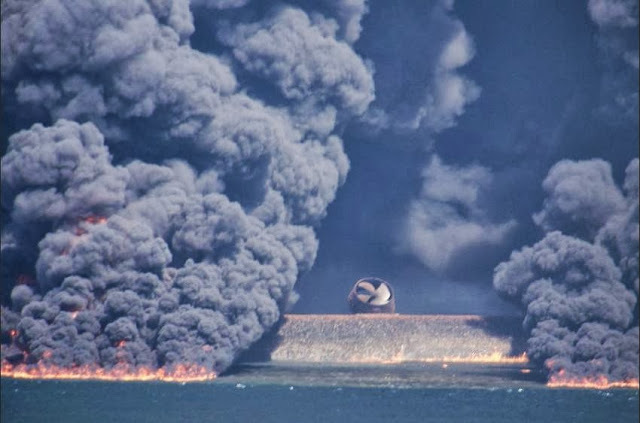 One obvious possibility is that the slicks were caused by residual oil, trapped in the mass of wreckage and failed containment equipment lying on the seafloor, that was episodically escaping and floating up to the surface as the wreckage settled and shifted. 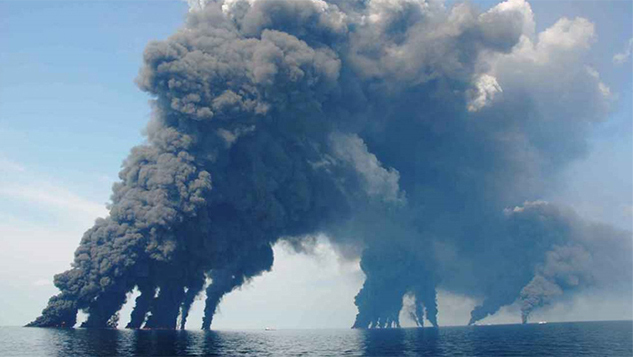 Another possibility was that the doomed Macondo well, or one of the two relief wells drilled during the disaster in 2010, had somehow sprung a leak, despite being filled with cement. 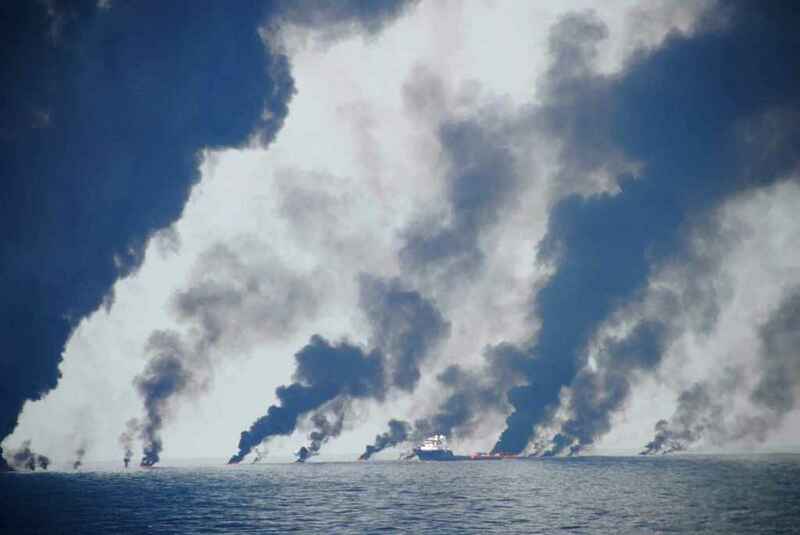 Inspections by ROVs, and videos they collected from the wellheads, failed to turn up evidence of any leaks. 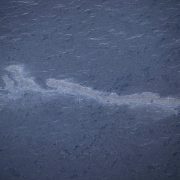 Slick photographed during overflight of BP / Deepwater Horizon oil spill site on February 29, 2012 by Gulf Monitoring Consortium member Gulf Restoration Network. Photo courtesy Erika Blumenfeld. See more. 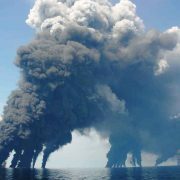 A more ominous possibility was that oil had escaped laterally from the well during the blowout, had infiltrated bedrock next to the well, and was slowly making its way up to the seafloor through fractures in the bedrock — a situation similar to what happened off the coast of Brazil when a well Chevron was drilling suffered an underground blowout. Researchers funded by The National Science Foundation think they’ve solved the mystery. 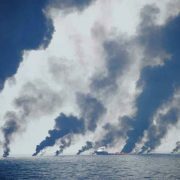 Their chemical “fingerprinting” work suggests the oil slicks were indeed caused by residual oil escaping from the wreckage, based largely on the presence of olefins (human-made compounds found in drilling fluid, but not in crude oil) in both the slicks they sampled, and samples of oil taken from the wreckage. 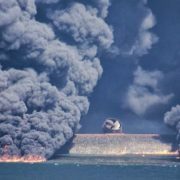 This might not end the debate, because large amounts of drilling mud were pumped into the well — and spewed back out of it into the ocean and onto the seafloor — throughout the ugly summer of 2010 in multiple attempts to kill it. 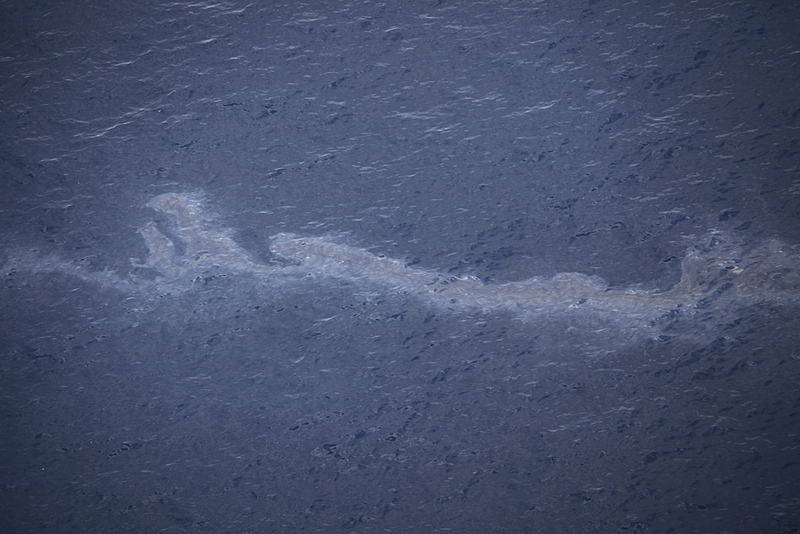 But we think this is the most likely explanation: the lack of recent observations of slicks in the area, either by aerial overflight or on satellite images, gives us some confidence that there is no continual leak coming from the well(s) or the seafloor. 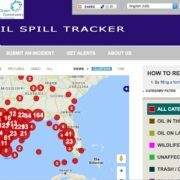 https://skytruth.org/wp-content/uploads/2013/07/Macondo-oilslicks-29feb2012-GRN-ErikaBlumenfeld.jpg 427 640 John Amos /wp-content/uploads/2016/08/test_logo.png John Amos2013-07-16 21:35:002019-02-15 11:38:10"Mystery" Slicks at BP / Deepwater Horizon Site: Mystery Solved?